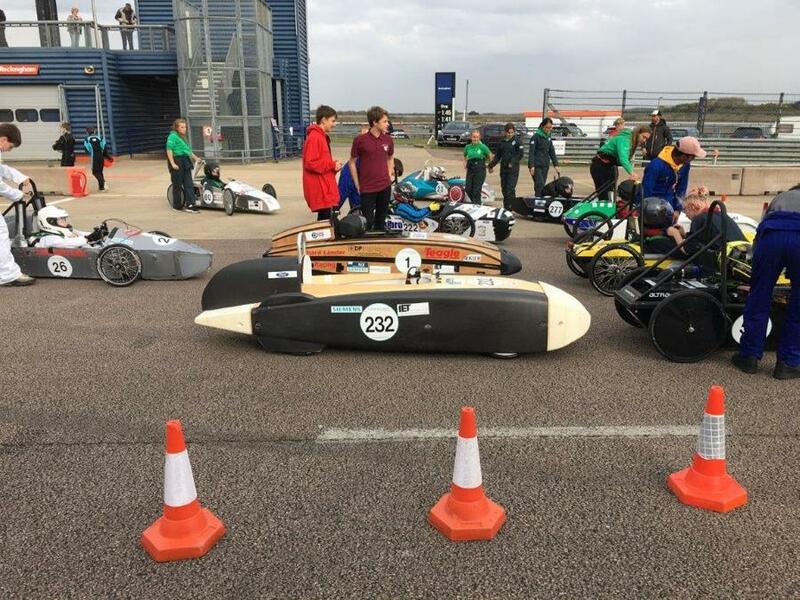 The Innova sponsored Apex car from @southleighracing finished an impressive 7th at the Greenpower International Finals day held at Rockingham at the weekend, with wet and windy conditions providing a tough challenge. 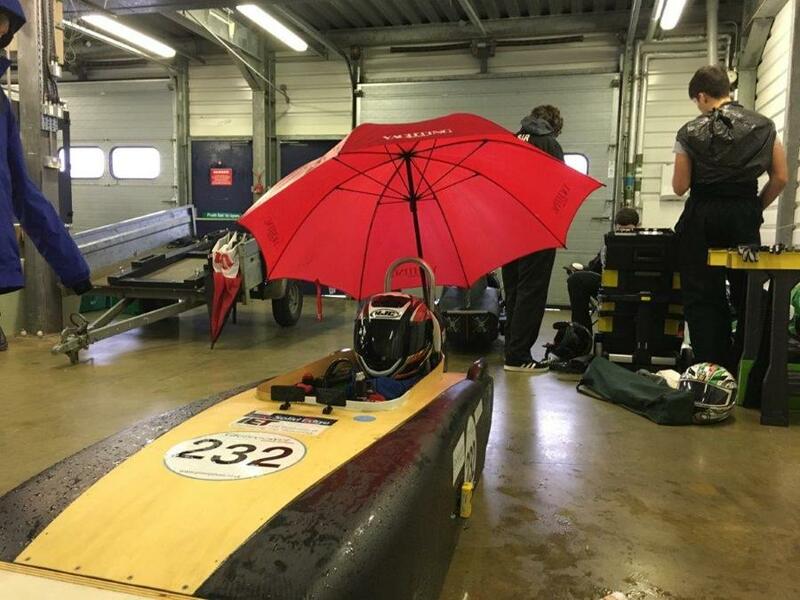 A good practice session in the dry on the Friday had the team feeling very positive; however the first practice session on the Saturday the boys soon discovered many extra layers of clothing and an umbrella were needed. 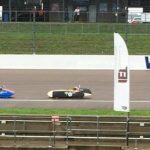 Race one was tense with the favourite car failing to start on the grid. @southleighracing started well, took the lead mid race but slowed a little at the end to finish second. 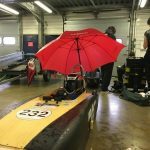 It was debated during the rest period whether to change the gear step up on the car but technical difficulties and time were against them so the set up remained the same. The weather conditions had eased off with many cars performing better, however Apex struggled with speed in the later part of the race and had to stop early. The extra distance the other teams managed meant they finished a respectable 7th overall. 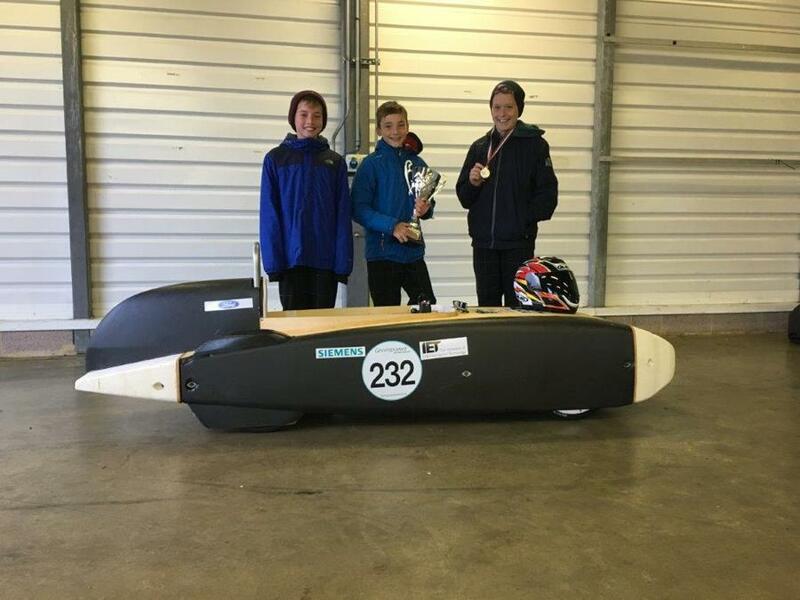 The event was a well-deserved victory by RLR3 from The Richard Lander School in Redruth, Cornwall. 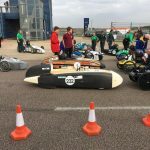 This is the team’s second year racing at Green power Trust events and the first year they have made the final. There have been many challenges and lessons learnt along the way and clearly many ahead. 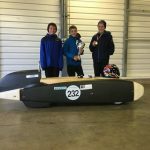 It’s been great fun building, racing and meeting all the other teams involved. They’ll be back..watch this space.